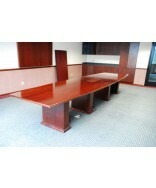 Make a good first impression with a stunning and functional board room. 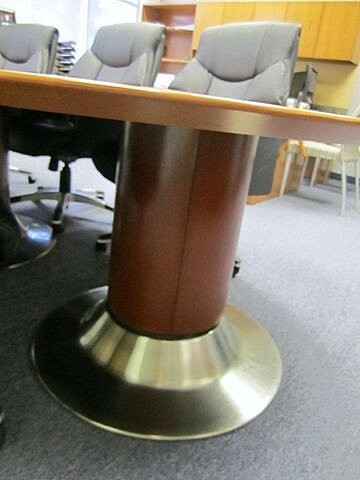 Our tables come with voice and data/power access doors. 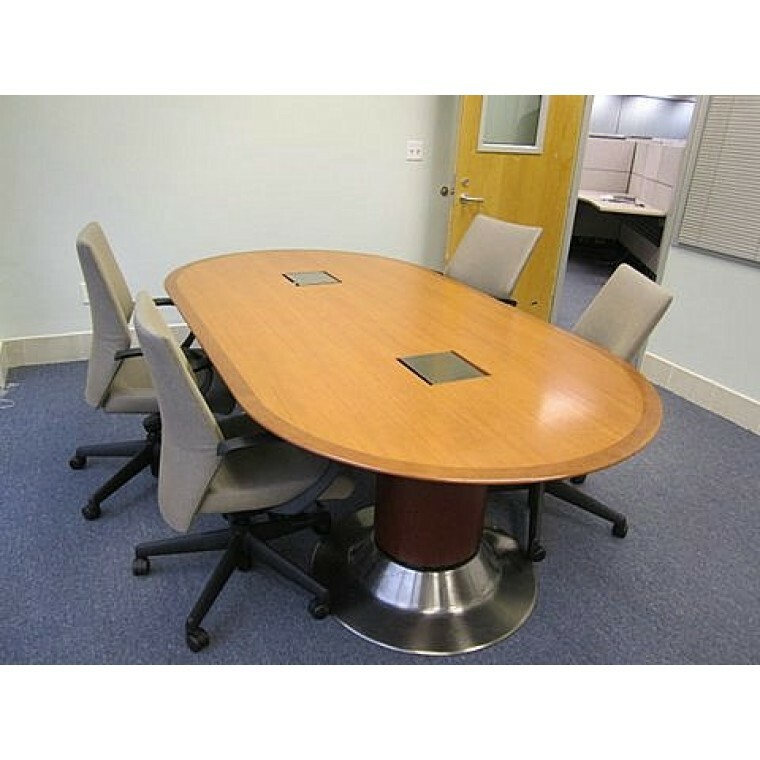 Make a good first impression with a stunning and functional board room. 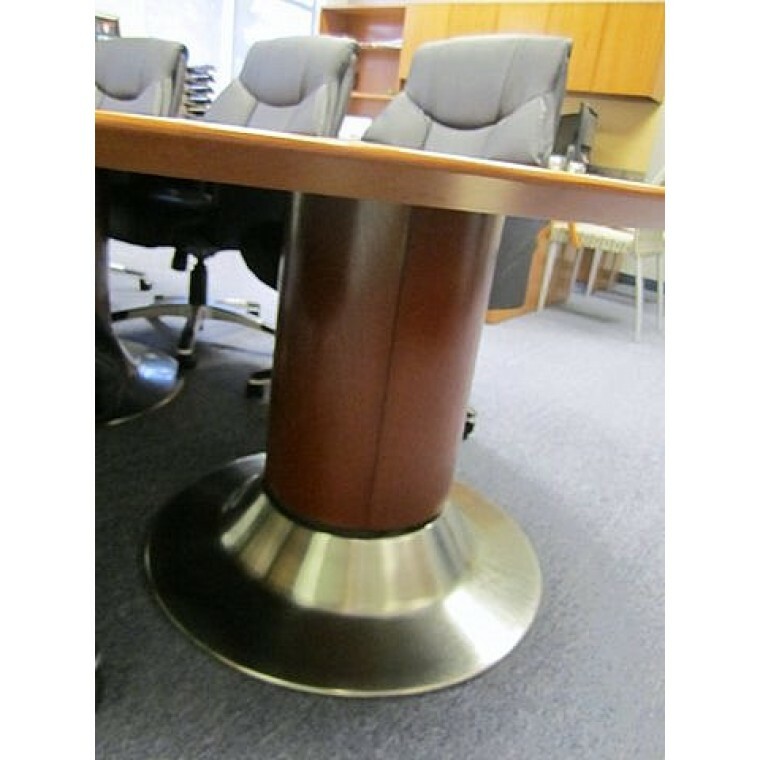 These wood veneer tables feature knife-edge banding, cylinder drum base with chrome edging, and two-tone wood finish. Our tables come with voice and data/power access doors.